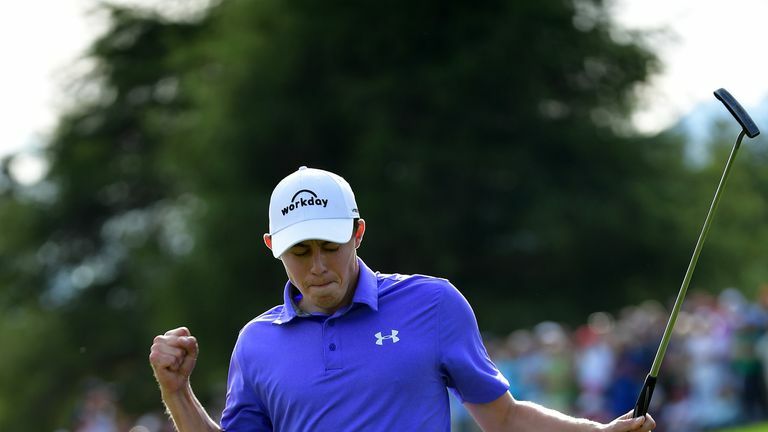 Matt Fitzpatrick maintained his view that his form this season did not merit a Ryder Cup place as he reflected on emulating the late, great Seve Ballesteros at the Omega European Masters. Fitzpatrick was one of 10 contenders bidding for four wildcard places on the European team, but he was not on captain Thomas Bjorn's list when the Dane announced his picks live on Sky Sports on Wednesday. Bjorn added Paul Casey, Sergio Garcia, Ian Poulter and Henrik Stenson to his eight automatic qualifiers for the showdown at Le Golf National later this month, and Fitzpatrick insisted the Dane was right to make experience a priority. Fitzpatrick admitted on Wednesday that he was not expecting a pick, but he got over his disappointment and became the first man since Ballesteros 40 years ago to successfully defend the title at Crans-sur-Sierre. "I didn't play well enough this summer, it's as simple as that," said Fitzpatrick, who birdied the 18th hole twice in 20 minutes as he edged out Lucas Bjerregaard on the first play-off hole after both had finished tied at the top on 17 under. "I don't hold anything against Thomas for not picking me, and I completely understand why he has gone for experience because it is vital in the Ryder Cup." Fitzpatrick had not won on the European Tour since lifting his fourth title in the Swiss Alps 12 months ago, but he ended that drought with a battling final-round performance after he bounced back from two bogeys over the first six holes. A sublime up-and-down from sand for birdie at the seventh began his fightback, and he holed from eight feet for his fifth birdie of the day at the last to force a play-off with Bjerregaard, who had stormed into the clubhouse lead with a flawless 63. But after the Dane's birdie putt from the fringe slid past the left of the hole, Fitzpatrick rattled in the winning putt from 15 feet to clinch his fifth title as a professional, just eight days after his 23rd birthday. "This is what I wanted to achieve this season - another win," he said. "To get it here again is so special and to get my fifth is amazing. I love this place. "That was tough, that was really tough. Of all my wins I'd say that was definitely the most difficult. I didn't have my A game today, but I managed to grind it out. I made some crucial birdies coming in and I'm delighted. This is one of my best. "The up-and-down on seven was key after just making bogey on six, which is kind of my favourite hole. Making birdie there got me back on track and within touching distance. "Last time was a lot different, I felt like I was playing okay but it was just make par, make par, make par. For whatever reason this year, a change of attitude, I definitely feel like I'm playing way better right now than I was this time last year."